For English professor Martine Brownley, it’s nearly impossible to separate the worlds of teaching and mentoring — nor would she ever want to try. “One just bleeds effortlessly over into the other,” says Brownley, Goodrich C. White Professor of English in Emory College of Arts and Sciences and founding director of the Bill and Carol Fox Center for Humanistic Inquiry. “One of the wisest things anyone ever said to me is, ‘You aren’t teaching the material, you’re teaching the students,’” says Brownley, who first came to Emory in 1975, “toward the end of the first Ice Age,” she jokes. This month, Brownley — who goes by Tina — will be recognized for her work with graduate and undergraduate students and faculty colleagues as the recipient of the George P. Cuttino Award for Excellence in Mentoring. The award was established in 1997 by John T. Glover 68C. Brownley, who has taught courses in 17th- and 18th-century literature and contemporary women writers at Emory for more than 40 years, has earned praise from colleagues and students alike for her wit, encouragement, collegiality and commitment to mentoring, both in the classroom and through her work with the Bill and Carol Fox Center for Humanistic Inquiry (FCHI), which opened in 2001 to support humanistic research across the university. “Her mentorship comes in the way she models the commitment and intellectual integrity of a lifelong academic career, in the clarity and precision of her own prose and the tireless editing she lavishes on students, in her generous and probing conversation, and in her shrewd advice, delivered with grace and candor,” McPhee wrote in nominating Brownley for the Cuttino Award. “She is generous with her time, humor and opinion, and all who are fortunate enough to encounter Martine Brownley are in some way changed by the experience,” McPhee added. Raised in Clemson, South Carolina, where her father served as a chemistry professor and college administrator, Brownley grew up surrounded by education. Influenced by strong high school teachers, she began undergraduate studies intent on majoring in Latin and Greek. By her junior year, she decided to focus on English. After graduation, Brownley went to Washington, D.C., to work for Rep. William Jennings Bryan Dorn, her district congressman. Working with constituents throughout the largely rural district gave her insight into the political process and the human condition. Though she loved the work, Brownley soon realized that she missed academia. “I felt that I was living on intellectual capital and needed to replace that,” she explains. While pursuing master’s and PhD studies at Harvard University, she would return every summer to work for Dorn, who eventually made a failed bid for the South Carolina governor’s office. “If he’d won, I might have worked on his staff,” Brownley reflects. “But by then I had a job offer from Emory and was tired of bad Cambridge weather. I told my friends that my personal Scarlett O’Hara recension was ‘As God as my witness, I’ll never be cold again,’ and I moved South. From the beginning, Brownley found great reward in working with Emory students. 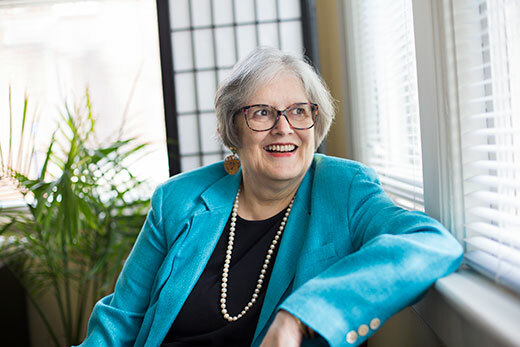 Over the years, Brownley has served Emory’s Department of English as the director of both undergraduate and graduate studies, overseeing numerous undergraduate theses, directing some 27 dissertations, and playing a role in 44 dissertation committees. Joel LaGrande 09C, a Bobby Jones Scholar who went on to attend Columbia Law School, recalls taking Brownley’s course in 18th-century British literature, then asking her to supervise his honor’s thesis. LaGrande praised her ability to draw students into dense material with clarity and precision, engaging them in thoughtful commentary while pushing for deeper and wider research in the pursuit of new sources and knowledge. Katherine Ellison, now a professor of English at Illinois State University, recalls working with Brownley as her dissertation adviser. “She was and is my role model, my ideal female scholar, who leads with a pedagogical clarity that I try to emulate in my classroom and whose no-nonsense character kept me on track and focused,” she says. Brownley is also credited for building important mentoring structures within Emory College and the Laney Graduate School. In 2002, she co-founded the Grant Writing Program (GWP) for graduate students in the humanities and social sciences. She co-directed the program for more than a decade, helping students secure competitive funding for their research, and also co-founded and co-directed a parallel program for Emory College faculty, notes Cory Kratz, professor emerita, Department of Anthropology and Institute of African Studies. But one of Brownley's most profound contributions was in helping pioneer the creation of the FCHI, according to her colleagues. Through undergraduate, graduate, postdoctoral and faculty fellowships — as well as programs, seminars and workshops — the center has provided a focal point for humanities endeavors at Emory that have advanced interdisciplinary research, teaching and mentorship. In addition to supporting the production of academic books, the center has also aided the creation of articles, conference papers and new course development. That kind of mentorship fosters a sense of shared scholarship and connection, says McPhee, who is working on a book through a FCHI fellowship this year. “From students just writing their theses to professors working on their fourth book, there is something so important that happens — you can feel it in the conversations on the stair landing and while people are making coffee in the kitchen. “There is a magical alchemy that goes on over there, a precious part of the Emory ecosystem. And at the center of it is Tina Brownley,” McPhee says.